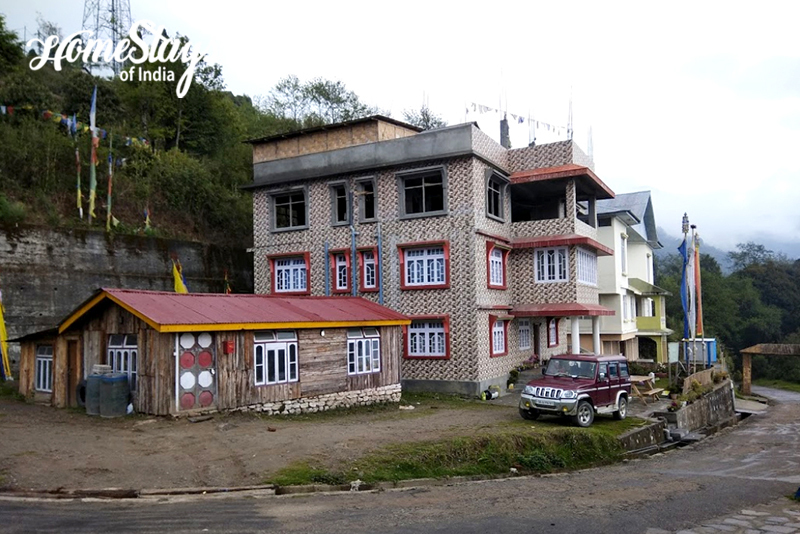 Mostly inhabited by Sherpas, Okhrey is a small hamlet on the western part of Sikkim, very close to Nepal border, stands at an altitude of 7500 ft. It is 127 km from NJP and 131 from Bagdogra. Surrounded by Barsey Rhododenron Sanctaury and the Singalila National Park, it is one the few eco-tourism zones of Sikkim and also known as the base for Barsey Rhododenron Trek where around 22 species of Rhododendron are found. Okhrey is also very popular for bird watching. More than 150 species of birds are found in and around Okhrey, including a few endangered species like Satyr Tragapan, Spotted Laughing Thrush, Fire-tailed Myzornis etc. 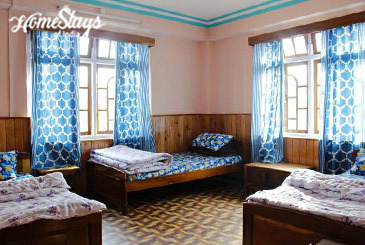 The home is beautifully located and offer spectacular views of the Singalila range and Darjeeling. It’s a peaceful retreat away from noise and pollution where you wake up to beautiful sunrise that can be witnessed from the window of your room. 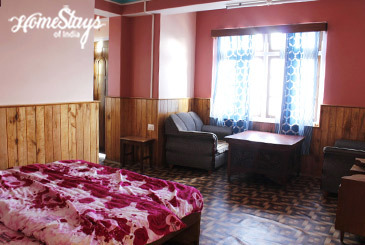 There are 8 rooms in the homestay with attached bath and running hot water. 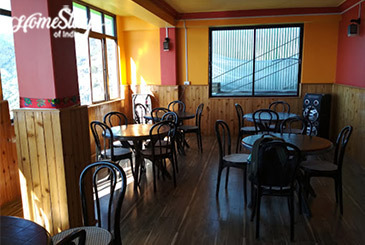 They are exquisitely decorated with traditional stuff and the warm wooden interior that keeps the chill out. It is run by traditional Sherpa family. 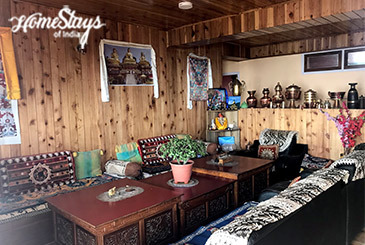 In spite of all modern facilities, the rich Sherpa culture is kept intact so that the guest can enjoy and exchange the cultural values. 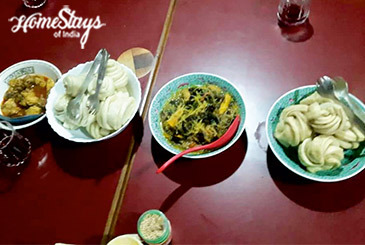 Urgen Sherpa is a law graduate from Delhi University and now runs the homestay along with his parents. He has a deep knowledge of the region and can guide you well in planning your days in and around Okhrey. He also is well aware of the birds found in Okhrey. Urgen’s father is a simple man with whom you can spend hours chatting and his mother takes care of the kitchen and can treat you with some delicious local food. Enjoy simple home cooked meals in traditional style. Traditional food is also served depending upon the guests preferences. Guest are welcome inside the kitchen. Do try Tibetan Butter Tea and Guras (Rhododendron Wine). Non vegetarian food is also served on request. You need to inform the host about your meal requirements in advance. Don’t forget to ask for Chapta if you are a beef lover. Note: Do let us know in case you want us to arrange Taxi or Guide for trekking and bird watching.